Hello, and thank you for subscribing to The Leadership-Tools Newsletter. Good news! We've added our audio series, The Leadership Series for Successful Living, to our free leadership library , which is available to all of our valued subscribers for immediate download. This series is sold on Amazon and Audible.com, and is based on the original works of Dr. Orison Swett Marden. However, as a subscriber you pay nothing. 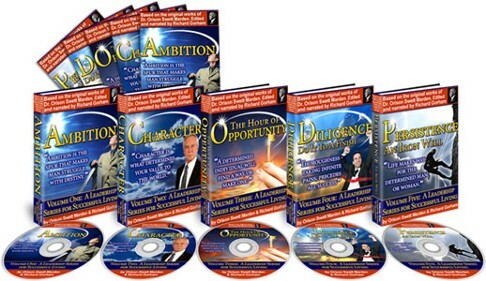 The Leadership Series for Successful Living! All five volumes are available to subscribers only. To access Volumes 1 - 5, simply go to the FREE TOOLS link on our website and use your password to access our Leadership Library of tools and resources. We hope you enjoy these free gifts, and thanks again for supporting Leadership-Tools.com.